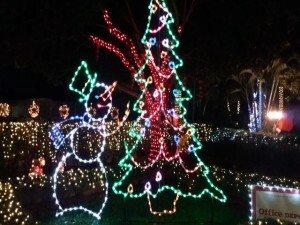 Every year during the Holiday season, people look forward to visiting Hoffman’s not only for the outstanding light displays but for the atmosphere you find there. Everyone always seem to be very happy and relaxed and especially children absolutely love looking at all there is. And there is so much to see. 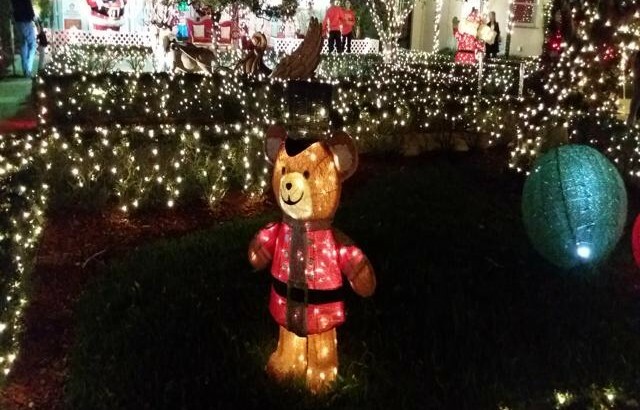 Christmas tree, Nativity Scene, Hanukkah display, beautifully lit gazebo and fountain and best of all, there is no cost at all, parking is free and walking through is free. There is however one way you will want to spend some money when you go inside the store and as soon as you open the doors, the chocolate aroma is overwhelming. Truly a pleasure to look at their chocolate assortments and you can also get some delicious ice cream. Santa and Mrs. Claus are in the gardens every Thursday, Friday, Saturday and Sunday from November 23 thru December 23rd from 6–10 pm. 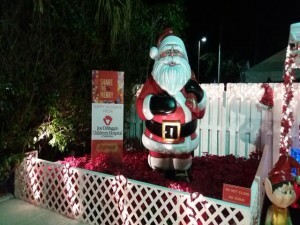 Beginning December 14th, they will be there every night from 6–10 pm.